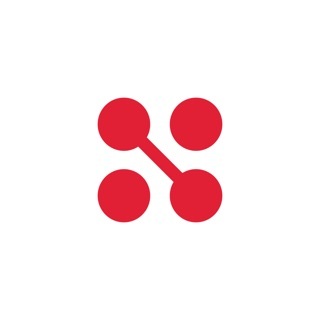 TripleVMusic is the first music promotion and music marketing app that will actually increase your music sales! Very much like America’s Got Talent and The Voice, music lovers will vote on your music video, Currently we have over 10,000 weekly voters. Music lovers will share their vote via social media to give you viral exposure. 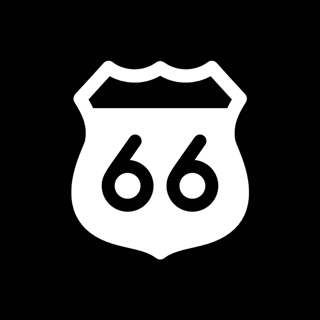 We will announce to our over 60,000 social media followers that you music will be debuting on the #1 Rated Music Marketing App. If you make it to the Top 10 Chart, record labels, A&R’s, and music industry executives will know you’re the real deal. 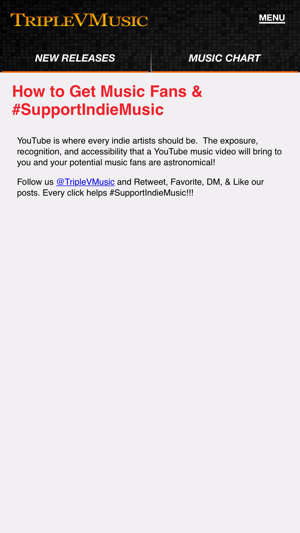 So if you want more music sales, exposure, & to grow your fans, then TripleVMusic App is the answer! 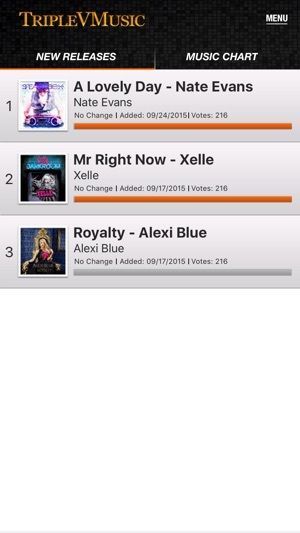 -New Releases : new weekly singles waiting for your votes. Artists need your positive vote to make it to the Music Chart, if not they’re GONE! -Music Chart : 10 top singles with real-time updated votes moving artists you like up to chart position #1. Help keep your favorite artists alive on the Music Chart by voting! -How To Get Fans & #SupportIndieMusic: We’ll tell you how to grow your fan base, increase music sales, and get more music exposure! Finally, you have a real chance to decide which song will be popular. 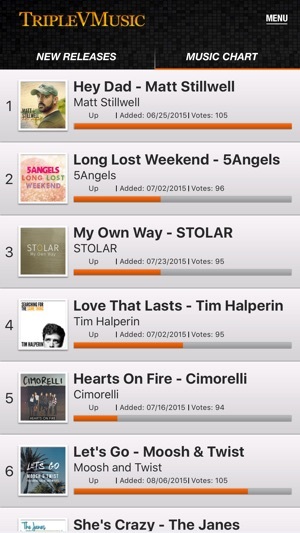 Install TripleVMusic application and have fun while helping emerging artists. Let us get you more fans, increase your music sales, & get you exposure from all around the world! 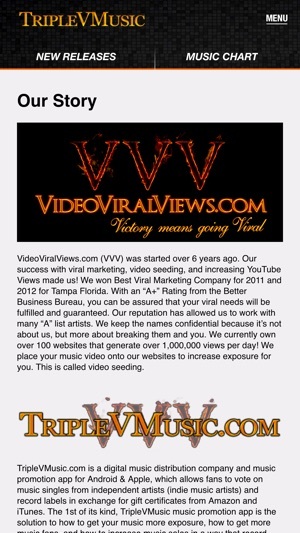 VideoViralViews.com Inc. and TripleVMusic App are in no way affiliated with Apple Inc. All Apple product names are trademarks or registered trademarks of Apple Inc. All other company and product names are trademarks or registered trademarks of their respective companies. (ann.n): i really like the concept of this app and i've also found lots of new music that i like that i wouldn't have been able to find before without this app! i love how you can listen to music and get rewarded! the thing i don't like about the app is that the layout is kind of confusing. i'm glad there's a video tutorial, because without it, i would've been lost. the other thing i don't like is that it doesn't show how many points a reward costs. for instance, if i'm trying to get an iTunes card, how many points do i need until i get there? it would be nice to know. if these things i fixed, this app would be better! Don’t waste your time, you won’t get your gift card. Took more than a year to get enough points and then months of trying to get in touch with them as to why I still hadn’t received my gift card and they don’t even have the decency to reply. If you want to earn gift cards try appnana they do what they promise and they are prompt in answering questions if you have any! I loved the idea of this app but they totally ruined it. Guys and girls, don't believe it's crooks!!! 1.5 voted, scored 210 points, and as a result for two months no one sends a prize $10 iTunes. And after contacting the support team in general points zeroed!